While most people tend to think of the restaurant business in terms of food and service, we think of everything but food. 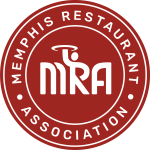 Started in 1980 to serve the local Memphis restaurant industry, GEM provides many quality products for local restaurants and hotels. Being a smaller company allows us the flexibility and one-on-one service customers can’t get from our competitors. We pride ourselves on taking care of the customers and they stick with us. We like to say we get the customer on price, but we keep them on service.